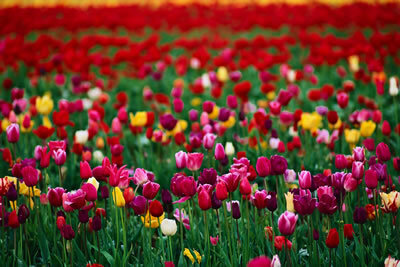 We continue to wish you the abundant joys of this Easter Season! After the climax of the Easter celebrations, parishes can begin to shift into low gear. Sometimes it happens imperceptibly, as when people slowly make their way to beaches or mountain hideaways. Sometimes it can happen suddenly because parish folks, from parish staff down to parishioners, disappear from ministries and events. This can particularly effect evangelization because the RCIA team has worked hard and wants to get a little break, the pastoral council is not meeting in the summer, and people feel it’s just too hot to do anything. Spring and summer, however, are excellent times for outreach. Many parishes find all kinds of hidden or new parishioners just by offering Vacation Bible School–and broadcasting the invitation to families over many media far and wide. Other parishes find it’s a perfect time to have festivals and bazaars–and use that to get the message out about their parish, and about our Catholic faith. And some parishes find it’s an ideal time to do some visiting, particularly if a new development has opened up or as first time effort. Let’s all keep our eyes open, too, for seekers and inquirers who might want to explore the wonder of our Catholic faith. By Fr. René Constanza, C.S.P. Father René is a Paulist Father and associate pastor at St. Austin’s parish in the Diocese of Austin, Texas. Father René was born in Belize and is the 7th of 9 children. 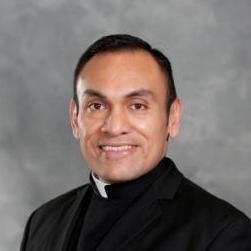 He received his Masters of Divinity with a concentration on Hispanic Ministry from the Catholic University of America and was ordained a priest in 2012. Father René has a passion for evangelization, Hispanic ministry and ecumenism. Easter is a time for familia and fiesta to celebrate the new life given to us by our Lord’s Resurrection. 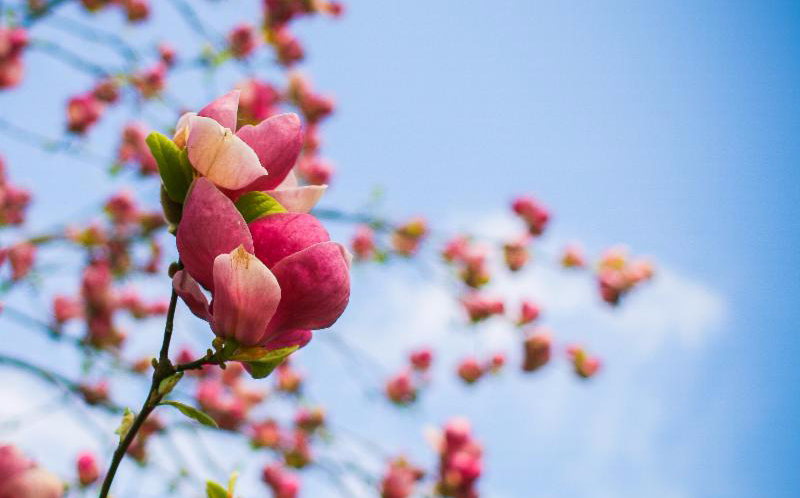 Our family’s merriment at our very large Easter family gatherings, despite its chaotic nature at times, was our way of being thankful for God’s gift of salvation. Fiestas were our expression of renewing trust in each other and creating a space of mutuality that allowed us to celebrate, question, and reflect as a community of believers. Much of the time, our reflection led us to an awareness of those less fortunate, of those in the margins, of those who are unable to partake in fiestas as we did. Whenever we have familia, we have thanksgiving, and whenever there is thanksgiving, there should always be room for the guests. I grew up reminded of this important aspect of life by my parents. So when a stranger stopped by our gatherings unannounced or when one of us nine siblings brought friends over to our family gatherings, mami would ensure that we extended the highest form of hospitality to guests. This would mean offering our seats at the gathering, or turning a meal for 30 into a meal for 35 or even 40. Being thankful to the God that gave us new life and gathered us as a family helped us to learn at an early age that fiestas are only real fiestas when there is hospitality, sharing of resources, and a true sense of community; where everyone partakes in the fiesta-from the crying toddlers to the elderly, from our teenagers to the adults in the family. Because time for us is measured by the quality of time and not the quantity of time spent together, fiestas usually had no end time. Join Fr. 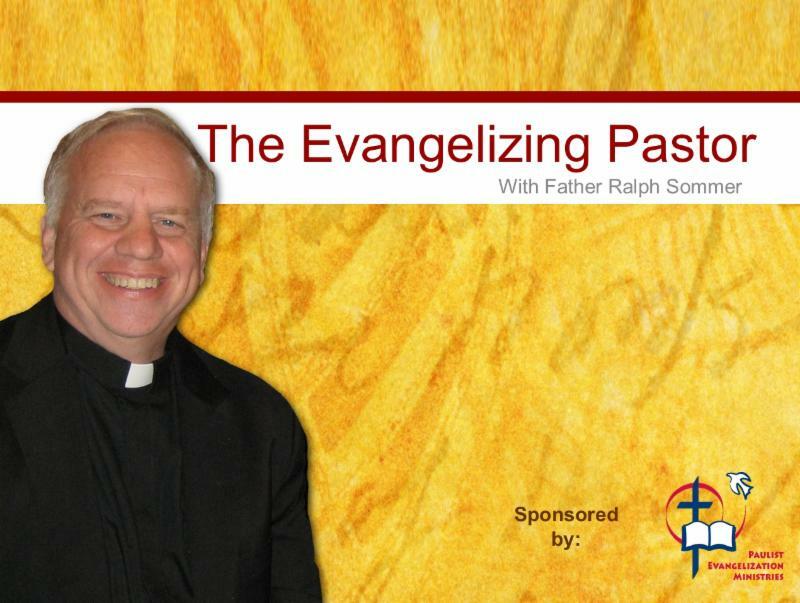 Frank DeSiano, CSP as he presents creative and practical ideas for evangelizing during Spring and beyond. How does a pastor think like a missionary? What are the approaches, skills, and methods pastors can use to try and reach their own congregation–and Inactive Catholics–more effectively? 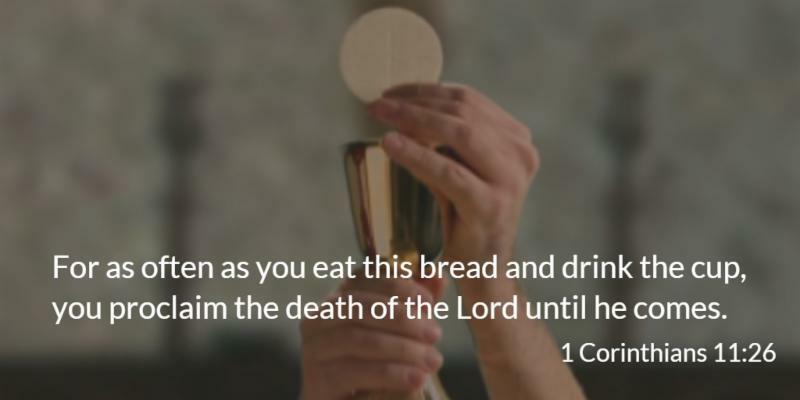 This webinar explored the themes of conversion and discipleship in the Christian life and helped us recognize how the Rite of Christian Initiation of Adults (RCIA) models a way of life and faith for every believer. 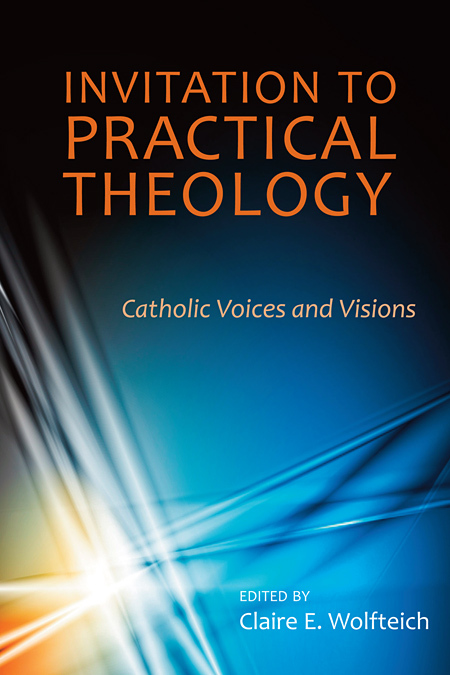 Paulist Press put this wonderful collection together to help Catholics explore something we are all immersed in but hardly ever systematically think about-Practical Theology. As one essay points out, another word for this is “pastoral theology,” language we are perhaps more used to as Catholics. The idea of “practical” however, is to emphasize the “practice” part of what we do-the skills, learnings, insights, and teachable behaviors that are so much a part of all religious life. The subtitle–Catholic Voices and Visions–aptly describes the collection. Even though there is an overall order to the book, it’s the quality and variety of the voices that are striking. Some authors come at this from the point of method, some from theology, some from statistical insight, some from spirituality. While this does not provide a very cohesive set of ideas, it does show the importance of this “practical” perspective in what most of us are doing in our parishes and various ministries. Beginnings of a Francis Correction? To date there has been a lot of talk but little real research possible on the “Francis Effect” (our previous thoughts). Social scientists now have their first glimpse at the potential effects in the 2014 General Social Survey (GSS). This is the primary survey used by sociologists. It is based on face to face interviews with a national random sample of adults. It began in 1972 and in the last two decades one survey has been completed every two years. Each GSS typically has interviews with about 500 Catholics. In 2014, 606 were surveyed (margin of sampling error of ±4.0 percentage points). 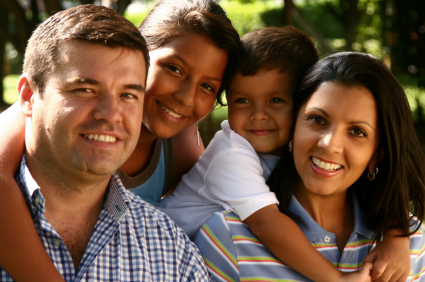 This post pulls out some of the trends and major new findings for Catholics in 2014. 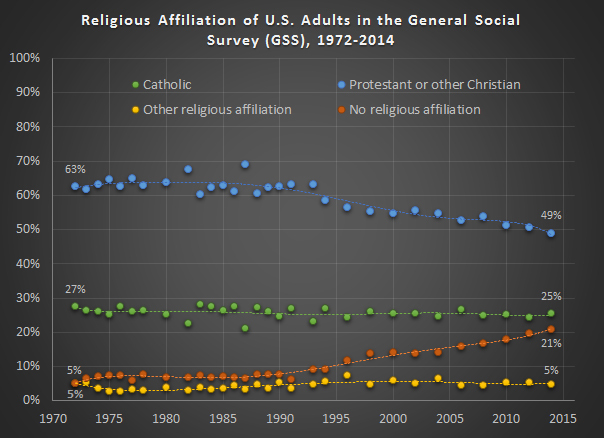 Are the U.S. Catholics of 2014 any different from 2012 and previous years in the GSS? First I present the most boring and surprising (to some) result? Catholics still make up a quarter of the adult population. To the chagrin of many reporters at secular newspapers the Catholic population will not decline like it is supposed to. Glendale, Ariz. – The crack of the bat is a sure sign of spring, one that calls Ray McKenna to the field. “How’s the team looking this year?” he asked the top trainer for the Texas Rangers. “Anything we can do? Please let us know,” he told catcher Tyler Flowers of the Chicago White Sox. The Washington-based attorney was busy checking in with baseball players, coaches, trainers and fans at spring training camps in Arizona and Florida. McKenna though was not dispensing batting tips or offering legal advice. He was there to make sure Catholic players have access to the sacraments and to share the good news. A former minor-league baseball chaplain, McKenna is the founder and president of Catholic Athletes for Christ. He said the 10-year-old sports ministry has a two-fold mission of service and evangelization. Msgr. 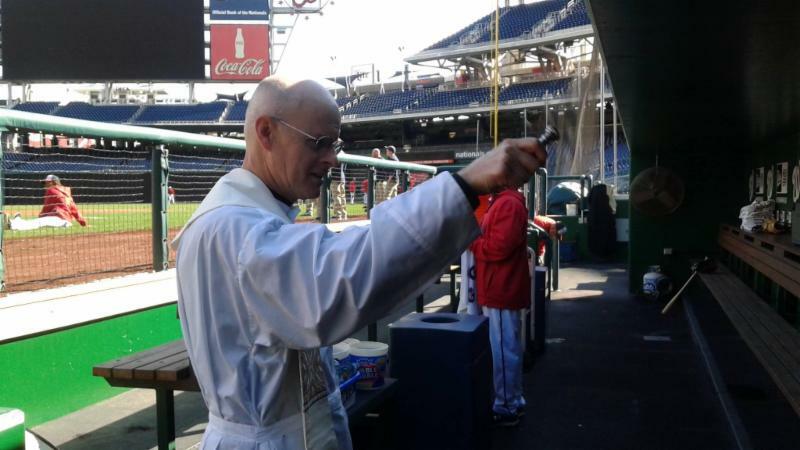 Steve Rossetti, one of Catholic Athletes for Christ’s Catholic chaplains for the Washington Nationals, provided blessings to players as well as the dugout, bats, and gloves, during the Nationals exhibition game at Nationals Park on April 4. 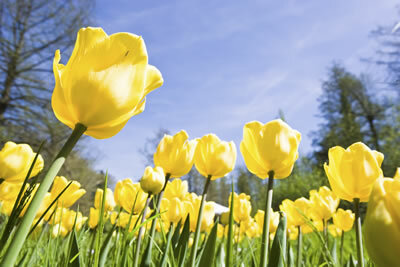 Click Here To Take a Short Survey on Spring Evangelization in your parish.